Hey there my lovely divas! Sammydress is a leading global online wholesale supplier of the latest in Women and Men’s Clothing, and Women and Men’s Shoes, Accessories, Bags, Casual Dresses, Wigs, Fashion Jewelry, Intimate Lingerie, Children’s Toys, Home & Living, Lifestyle Products and many more amazing items and gift ideas. Today, we are here to introduce the 5th Birthday Sale of Sammydress. They have a series of promotional activities to celebrate this birthday with all of you. It is also the best time to buy your favorite pieces of clothes, accessories or trendy shoes with coupons and discount. I have rounded up 10 beautiful dresses that are fashionable, chic and stylish and I think that you will like them. 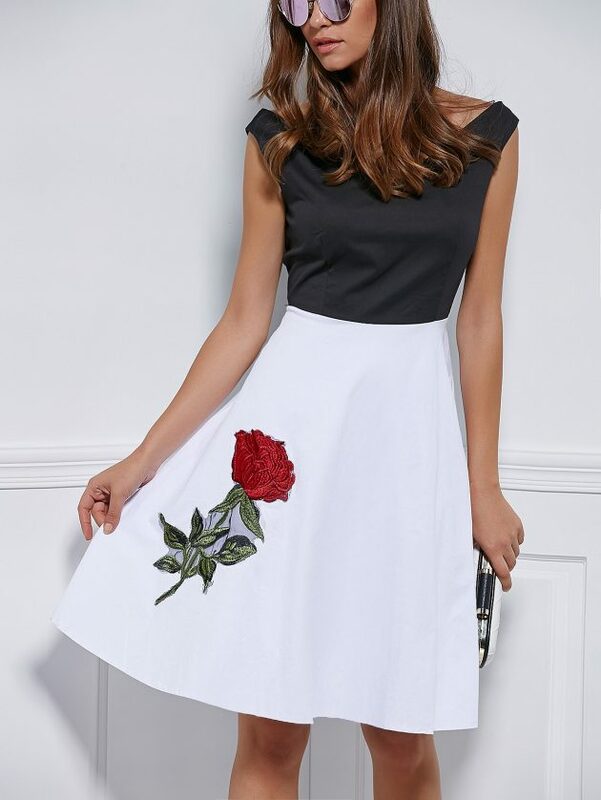 From simple black dress for every special event, to casual long sleeve dress and strapless sleeveless with interesting print for your next night out, here you can find dresses for every taste and style. Large florals are going to be the hottest trend this fall, so go ahead and update your wardrobe with a floral dress and wear it with a warm cardigan or jacket. Midi dresses are perfect for work, while the mini body cons can be amazing choice for parties. For more glam look, you can buy a lace dress. Sammydress has everything you need and now everything is on discount. Go ahead and update your wardrobe in a minute without spending a real fortune. What do you think about these trendy fashion clothing? Which dress do you like the most and would you like to wear? I need to recognize that I like the stylish black slit cami dress a lot, but I can’t also take my eyes off the ruffle collar belted khaki dress. What about you? Please share your comments below. Thank you for reading! Enjoy in the rest of your day and don’t forget to stay up to date with the content of Fashionsy!